I love everything about this laundry detergent. The smell of this grain lasts longer. Gets Staines out of clothes. Great long lasting scent. 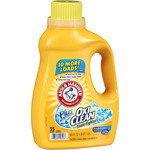 One of the best laundry soaps I've used. I love Gain. It smells good and gets my families clothes clean everytime. This Fabreze scent is wonderful! Forever, I was a die hard Tide fan and I still am. I usually use Cheer for my colored clothes that are nicer ( the ones i bother ironing). 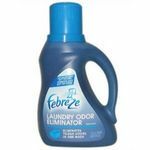 I was looking for a different detergent to use for my workout clothes to make them smell nicer but remain clean. I tried Gain years ago and i just wasn't impressed. It may have had more to do with the new front load washer but i've tried it again and i LOVE it. I usually use it for my workout clothes, colored socks and underwear. 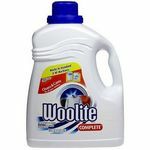 This detergent does a good job cleaning sweat out of clothes and the usual dirt that can come with the cardio/weight lifting etc. Also, it's nice that if you are like me and only wash when the bin is full which could be 2 weeks after you've worn the clothes, it still smells great. 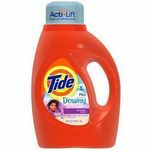 I also have to say that in comparison to Tide, the clothes also come out of the dryer softer. I recently started using this in conjunction with bleach with my white towels and i'm loving it. All in all, this is a great detergent. I've used it on the around the house t shirts that have had pizza sauce or whatever else i've eaten spilled on it and no complaints. 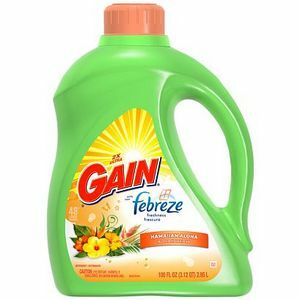 This is my favorite scent of Gain. I love gain. They always leave clothes smelling fresh and soft. I would buy this detergent again! I love the smell and it works great. My clothes are always fresh and clean. They always have a great smell. I have no doubts about this product at all. I recommend it to everyone I know. 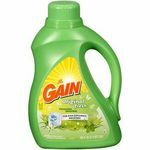 You can't go wrong with gain.